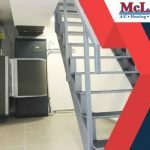 Heating, ventilation and air conditioning (HVAC) systems keep your home or commercial property comfortable all year long. 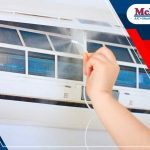 As a homeowner, knowing how your HVAC system works can help you with its upkeep, from finding the right type of system to troubleshooting problems. 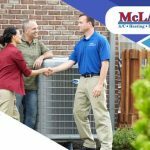 McLay Services, Inc. shares an overview of how HVAC systems work. Air conditioners provide cooling during warm months. There are several types of air conditioning units, including window units and split-type air conditioners. Regardless of the type, air conditioning units have two basic sections: an evaporator and a condenser. Window units and portable air conditioners have both the evaporator and condenser in the same enclosure, while split type air conditioners have the condenser units housed in an outdoor enclosure. The compressor is considered the heart of the air conditioning unit, located with the condenser. It compresses the refrigerant, to the point where the built-up pressure causes the refrigerant to release vast amounts of heat as it passes through the condenser. It becomes cold by the time it reaches the evaporator coils. Cold air is blown through, producing cold air. The refrigerant is again pumped into the compressor, ready to repeat the cycle. Heating systems provide heat during cold months. These systems are more varied than air conditioners and can either be controlled independently or with centralized controls. Traditional fuel-based furnaces burn oil, gas, wood, or coal, while others use electric heating coils to produce heat. Heat distribution can be done in several ways. Hydronic systems distribute heat using boiling water and pump it through radiators. 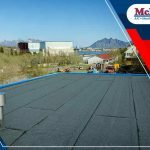 Subfloor systems feature heat coils or pipes installed under the floor. Heated air can also be distributed by gravity (allowing heat to rise naturally) or by forcing hot air into the ductwork using blowers. A heat pump is another type of heating system that is basically an air conditioner in reverse. Heat pumps have reversible compressors. When set to heating, the refrigerant is compressed in the other direction, so the hot air normally expelled through the outdoor coils is now pumped indoors. Temperatures for each room can be customized with thermostats, which control the vents, dampers and registers. 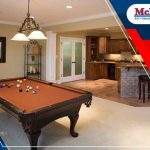 Learn More With McLay Services, Inc.
To learn more about HVAC systems, call McLay Services, Inc. today at (909) 392-2202. You can also fill out our contact form to schedule an appointment. We serve Orange County and the surrounding areas.